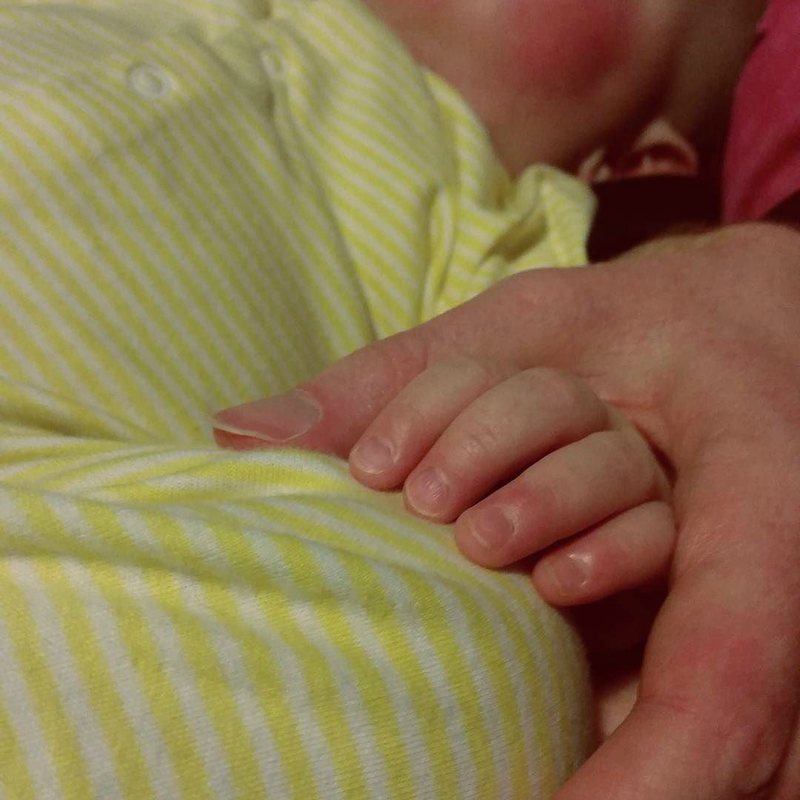 A little time ago, we moved MM out of her cot. She was eight, maybe nine, months old. Instead, she now sleeps on a floor bed. By which I mean "a mattress on the floor" but that sounds more like the antics of a slumlord than two very loving parents. Floor beds seem to be a bit of a gentle parenting/Montessori loving secret. I hadn't heard of them until I started googling "when can my baby move out of her cot?" There are various reasons why people choose to use them - to give babies more autonomy; to allow for more cuddles; to save forking out for a cot - but our reasons weren't so much that we loved the idea of floor beds as that we (or, at least, MM and I) really hated the cot. When I was pregnant, I was quite excited about the cot. It's the one Steve slept in as a baby and that seemed lovely - for our baby to sleep in her daddy's old cot. It didn't occur to me that we might not actually need one. Not even when I was scouring the internet for a mattress which would fit the no-longer-standard-sized 80s frame. But then it came to putting our daughter behind bars. At least, that's how I felt: that we were shutting our child away, separating her from her family and trapping her in a really tiny space. I couldn't lie beside her if she was restless; I couldn't cuddle her if she was upset; twisting my arms through the bars so she could calm herself by clutching my fingers was really uncomfortable. It was so far removed from the cosy, calm co-sleeping we had (accidentally) been doing and, although I knew that I didn't want her to sleep in our bed any more (there wasn't room; it was becoming unsafe), I felt like we were going too far to the other extreme. It seemed to me that MM felt the same way. She was so hard to console at bedtime. Sitting by the cot, bent forward into a position which let me hold her hand was hurting my back. Lifting her up and over the bars for cuddles was making it worse. In fact, putting her into bed and taking her out in the morning (and the middle of the night) seemed to be the main thing making my hip act up. But the deciding factor was that we realised MM's cot was contributing to her eczema. Well, not the cot; the foam mattress. We had had a memory foam mattress topper on our own bed for a while but I had eventually realised it was making me too hot and causing the intense itching in my legs. We ditched it and the itching vanished. It made sense that the foam mattress our baby was sleeping on could be contributing to her eczema, too. It had appeared after she moved into her cot and no amount of scrutinising her diet or switching to Ecoballs or slathering on moisturiser seemed to help (in fact, the moisturiser - each of the five we tried - only made it worse). We decided to take a chance and switch her onto a proper mattress - if it went hideously wrong, we could always move her back. But it didn't go hideously wrong. At all. Giving MM a floor bed (with a baby gate at the door to her room) turned out to be one of our best decisions. She was so thrilled when she crawled into her room and saw it. She knew it was in the space where her cot had been; she seemed to recognise it as a bed; she clambered all over it, bounced on it and squealed excitedly for about an hour (which made me a little worried about how bedtime was going to go...). I can't pretend that the floor bed has turned her into a self-soothing baby who sleeps through the night, but bedtimes are much less of an ordeal now. They do still take far longer than I would like (i.e. more than five minutes) but she's attempting to prolong things with cuddles now instead of clinging to the bars and howling. She's also waking less often through the night (presumably because she's less itchy) and we quite often hear her settling herself back down. And as for the eczema? Within a week of moving onto her floor bed, it was gone. Had you ever heard of floor beds before?